John J. Norcini, Ph.D., President and CEO of FAIMER, has announced that he will retire effective July 1, 2019. Dr. Norcini became FAIMER’s first president in May 2002, and has established numerous worldwide initiatives and programs in medical education, research, and data resource development during his 16-year tenure. William W. Pinsky, M.D., President and CEO of the Educational Commission for Foreign Medical Graduates (ECFMG®) and Board Chair of FAIMER, said an international search for Dr. Norcini’s successor will begin immediately. Dr. Norcini played an instrumental role in the development of FAIMER’s fellowship programs for health professions educators that include the FAIMER Institute, FAIMER Regional Institutes, and the International Fellowship in Medical Education (IFME)–a program originally sponsored by ECFMG, which transitioned to FAIMER in 2001. He championed the alignment of these programs with each other to create an educational pathway that allows international health professions educators to become outstanding local resources for improving health professions education. Under Dr. Norcini’s supervision, the FAIMER Distance Learning program has flourished, offering health professions educators the knowledge and skills to advance health professions education at their institutions to the highest international standards. Since 2013, he has served as Co-Director of the FAIMER-Keele Master’s in Health Professions Education: Accreditation and Assessment program, conducted in partnership with Keele University and the Centre for Medical Education in Context (CenMEDIC); and he serves as lead faculty for the newly launched FAIMER-Gulf Medical University joint Master in Health Professions Education program. Dr. Norcini has overseen FAIMER research activities in the broad domains of the international migration of physicians, United States physician workforce issues, and international medical education programs. FAIMER also designs and conducts studies focused on international health professions education, including the quality of medical schools and their graduates, international accreditation, licensure, and certification processes. FAIMER frequently conducts these investigations in collaboration with other institutes and researchers, and aims to inform policy makers in government, academia, and various other interested organizations. FAIMER has also made significant strides in achieving its goal of building information resources on medical education worldwide under Dr. Norcini’s leadership. He has overseen the development of the Directory of Organizations that Recognize/Accredit Medical Schools (DORA), directories of master’s and doctoral programs in health professions education, the Postgraduate Medical Education (PME) Project, and the World Directory of Medical Schools—a resource created and maintained in collaboration with the World Federation for Medical Education. Dr. Norcini received several awards and honors, including the 2014 Karolinska Institutet Prize for Research in Medical Education for his pioneering research on knowledge decay, specialty certification, and the development of new methods of assessment. In 2009, he received the National Board of Medical Examiners (NBME) John P. Hubbard Award for his commitment to excellence in medical education, his rigorous pursuit of high standards in scholarship, his broad and prolific publications and presentations history, and his tireless work on behalf of FAIMER. Dr. Norcini’s accomplishments in the field of assessment are considered both wide-ranging and pioneering. 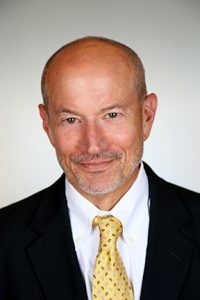 Dr. Norcini has served on the editorial boards of seven peer-reviewed journals in measurement and medical education, has lectured and taught in nearly 50 countries, and has published extensively. He has served on countless committees contributing to the fields of education, assessment, and research. Before joining FAIMER, Dr. Norcini spent 25 years with the American Board of Internal Medicine serving as Director of Psychometrics, Executive Vice President for Evaluation and Research, and Executive Vice President of the Institute for Clinical Evaluation. He earned his bachelor’s degree from LaSalle University and his doctorate from Bryn Mawr College.